Lock in a great price for Panorama Blue – rated 9.6 by recent guests! 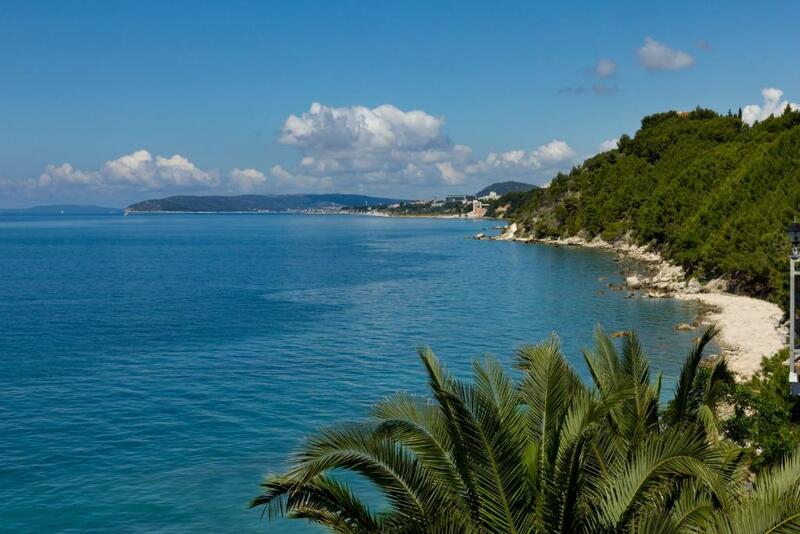 Panorama Blue is a property located in Split, 4.2 miles from Znjan Beach and 5 miles from Diocletian's Palace. The property features sea views. This air-conditioned apartment has 4 bedrooms and a bathroom equipped with a shower and free toiletries. The apartment also provides guests with a fully equipped kitchen with a dishwasher, an oven and a microwave, and a bathroom. City Center One Split is 2.8 miles from the apartment. Split Airport is 16 miles from the property. Stobrec is a great choice for travelers interested in the oceanside, scenery and sunshine. When would you like to stay at Panorama Blue? This house is the biggest and higgest in the street, so it has the best view to the see. I love everything what is beautifull: nature, misic, paintings,... Sometimes I make furniture, and paintings and get some money for it, because renting is not enough for the hole year. This part of the City is very quiet, far from the main roads. Good for leaving and rest. The shops, caffes and restaurants and beaches are in the circle of 10 minutes walking. The very center is about 7 kilometara far, but if you need megastores they are closer, 2-3 km. House Rules Panorama Blue takes special requests – add in the next step! Please inform Panorama Blue of your expected arrival time in advance. You can use the Special Requests box when booking, or contact the property directly using the contact details in your confirmation. Beautiful view from the balcony to the sea. Close descent to the beach. The proximity of restaurants with a high ranking on eg TripAdvisor. Guaranteed parking place in the shade. Nice and helpful host.